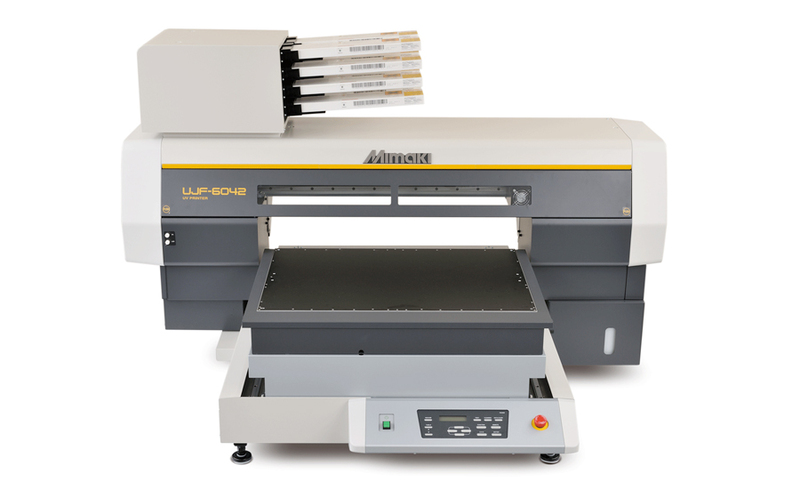 Building on the success of the UJF-3042 series, the Mimaki UJF-6042 offers all the benefits of the smaller UJF-3042 in a larger A2 format version with even greater versatility and spectacular photo-quality print reproduction onto an almost limitless range of materials, objects and substrates. UJF-6042, with its larger print area opens up a whole new world of possibilities for the end-user in the higher volume production market, where even higher quality is demanded. 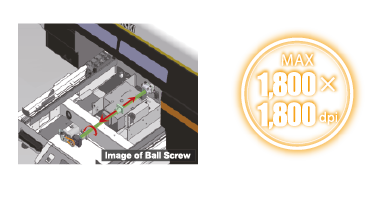 The UJF-6042 adopted a unique ball screw type head conveyance mechanism heretofore available only in high-end flatbed printers. This improves the accuracy of the ink drop placement, which in turn prevents bandings. Variable drops function provides 3 different drop sizes at once, with a minimum drop size of 4 picoliter. This produces smooth gradation patterns and brilliant transitions of many colour layers even in the 4-color mode. 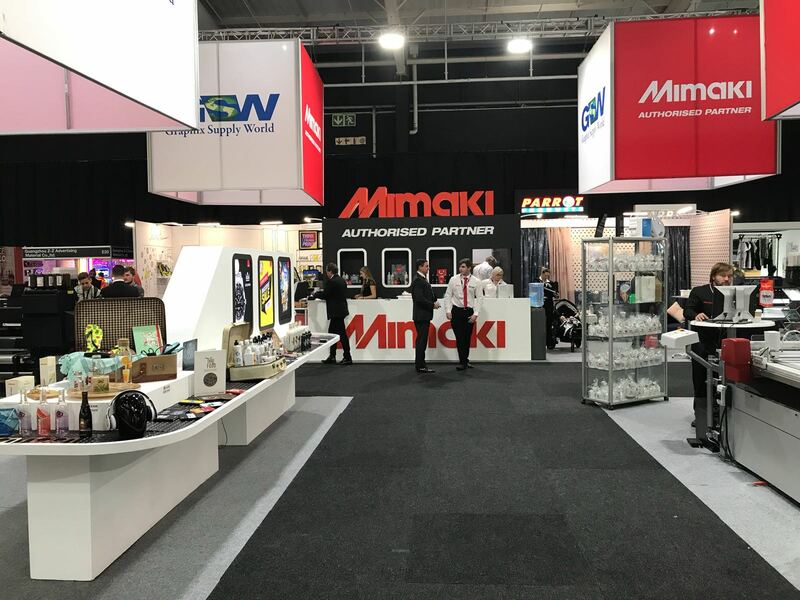 Mimaki Circulation Technology (MCT) is a newly developed white ink circulation system that prevents pigment sedimentation and reduces ink waste. Nozzle Recovery Function temporarily restores print quality, reducing potential downtime if maintenance issues should arise. The UJF-6042 incorporates an automatic primer feature, simplifying pre-priming process, which is traditionally done manually by wiping or spraying. Mimaki’s inkjet primer cartridge is simply inserted into the corresponding ink slot of UJF-6042, enabling the primer to specifically target the print image area only. Three types of UV ink are available to achieve the best print results on a wide range of applications. In addition, eight ink slots enable various ink configurations, such as 6 colors plus white and clear. Furthermore, by printing different layers of ink and/or gloss, your images will not only look more enticing but also will have a raised / embossed quality that will satisfy your customers. * For 3D lenticular printing, dedicated software for data creation and 3D lens are required separately. Etching is a surface treatment which utilises the corrosive action of metal, through chemicals. The area which should not be corroded is covered with a mask of UV ink. Then the substrate is immersed into the corrosion solution to be corroded. With such treatment, you can achieve high quality textures, and permanent engraving. Sophisticated new software offers user friendly and intuitive operation with features such as colour replacement.